I am taking my husband, one year old, and myself to Europe for just under four months. I have not been saving up, I have not had to sell all of my belongings, and I will not be going into debt on this trip. 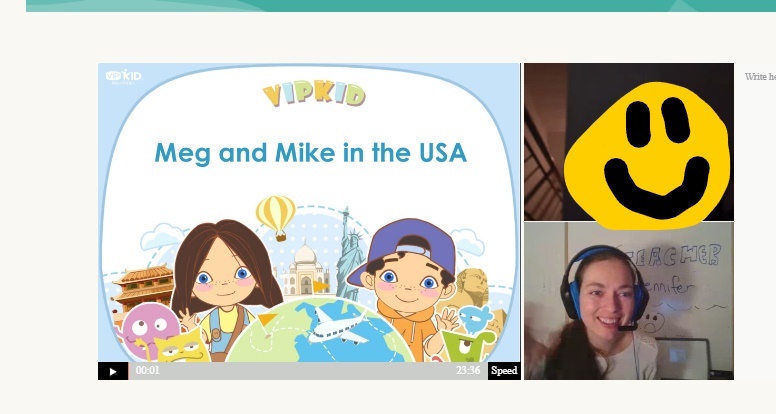 I will be working by teaching English online for VIPkid. I feel like I have found a cheat code to life, that we are living in such a world where I can work from anywhere. During our trip we will be house sitting through “Trusted House Sitters”, so we decided to kick off our trip early with a one week house sit in Ottawa Ontario. I was spoiled! 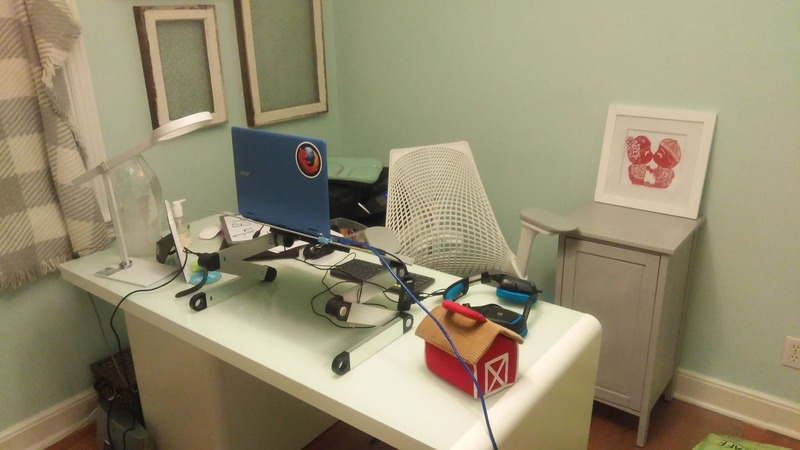 The owners of the house had the most ideal office setup for VIPkid! The desk faced out, leaving me a nice clear wall as a backdrop, they had a computer stand, so I didn’t even have to stack books to get my computer at eye level, and they had a really nice desk lamp that sat at eye level and lit up my face with diffused lighting. I barely had to move a thing, and I was very sad to leave that classroom behind. Since my husband and I had a week left between our house sit and our flight, we spent the rest of our time with family. I have used a corner of my in-laws office as a classroom before, but only occasionally. I have never been super happy with the lighting in the room. It is not too bad at night without disruptions of natural light, but I had a surprise on Saturday. I work as a mentor for new teachers who are applying to work for VIPkid, so I opened up my schedule for Saturday during the day. The curtains were not heavy enough and the natural light caused shadows to change and move across my face as I worked! I was so embarrassed, as I try to set a good precedence for applicants! I always want to have good lighting and a good backdrop so that I can lead by example, so every time the light shifted I had to do my best to hide my dismay! All of a sudden it hit me! My light was sitting on top of a cardboard box that curved inwards in the middle, and the lamp was tilted slightly away from my face. Every time I tried to move the lamp closer the light tilted farther from my face. I moved the lamp to the far side of the box, farthest away from my face, so that the lamp tilted towards me instead of away, and there it was! That nice even lighting I was looking for! The only modification I would like is to add another lamp on the other side positioned the exact same way. You can see that there is a bit of a shadow on the one side of my face, extenuated all the more when I turn my head like in the picture. 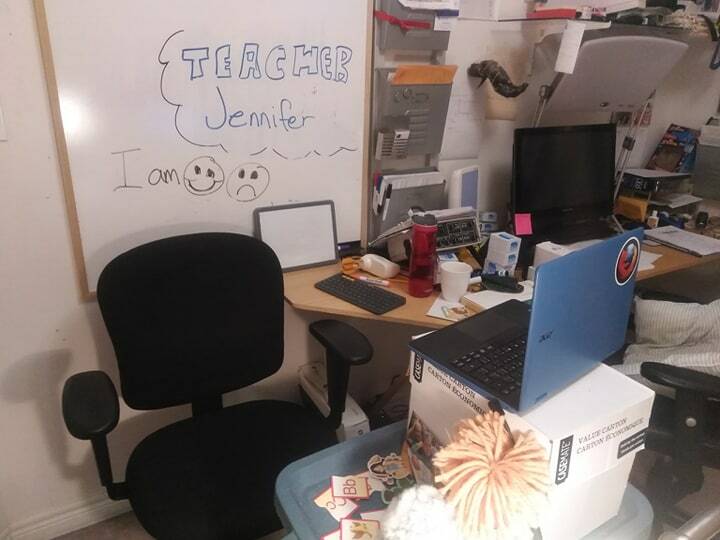 For a temporary classroom with limited resources, I am pretty happy with the results, and I feel a little more confident setting up in the next location! I will keep my fingers crossed that there will be two lamps for me to use! The moral of the story is angles matter. Happy teaching everyone!